Customers who visit fast loading sites spend more money, and don’t click away as often as when they visit sites that loads sloowwwwlllly. Google knows this too, and rewards sites that have fast load times with better search engine rankings. Magento, if configured properly, can be a top eCommerce platform. Out of the box, though, Magento isn’t always configured to run at race car speed. Type of Server. What type of server your using really matters. A cheap $5 per month hosting plan will never compare to a dedicated server at a hosting company that knows how to host a Magento site. We work closely with one of the top Magento hosting companies to ensure that your site loads quickly. Caching. What types of caching you have in place (i.e. Full Page Magento Caching and Varnish) allows you to display your site to more visitors, and decrease the load time on the server, because database calls are minimized. Image Best Practices. If your business uses best practices when adding images to your site, your site will load quickly. We recently worked on a site where the images had been uploaded directly from a digital camera, without being resized and optimized for the Web. After fixing one single page, the site load time dropped by 10 times, and the abandonment rate for the page dropped as well. Number of Products on Your Site. When you have lots of products on a Magento site, often you need to do special indexing and caching management to ensure that things run quickly. Free Site Load Test for Site Load Speed. We can test your site (for free) to see how fast it loads, and we can have our in-house SEO experts make sure your Magento site speed is not affecting your page rank. Why does speed matter when it comes to eCommerce? It might seem obvious that you need to have a fast website to ensure your customers convert, but not every business really takes this to heart. If your homepage takes more than a couple seconds to load you can able assured that some of your traffic decides to go back and take a look at the other results in Google. When a customer goes to find a specific product on a search engine they want to purchase that item now! Making a customer wait even a couple of seconds for your homepage or product pages to load is an easy way to lose conversions. Plus you know that every one of those customers will back out of your site, return to Google and probably purchase from your direct online competitors. Stop loosing sales today by having Customer Paradigm evaluate your Magento website’s speed. 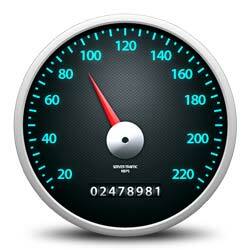 We can easily assess what slows down your website and what specific modifications can be done to increase site speed. We have even increased speed on some Magento stores by as much as 15 seconds. Site speed is not just about the customer, it’s also about looking good to Google and other search engines. A slow site is always ranked lower by search engines. This is because Google or any other search engine wants to return the very best search results to it’s users. A great way of judging if a site it well maintained and relevant is to examine it’s site speed. Google knows it doesn’t want to send it’s searchers to a site that take minutes to load, no one is ever going to wait that long! So Google judges your website and bases its rankings on the speed of your site. If you are in close competition for specific keywords go look at your competitor’s speed versus your own website’s. Chances are that little boost to your website’s load times is all you need to surpass your competitor in page rank.